THE present age is as deficient in philosophy as was the age of Plato in knowledge of science. It follows therefore, that while the Secret Doctrine itself apprehends equally both philosophy and science, in addressing itself to the thought of an age, it must recognize here as it does everywhere, the law of cycles that rules in the intellectual development of a race no less than in the revolutions of suns and worlds, and so address the times from that p lane of thought that is in the ascendant. It is just because analytical thought is in the ascendant, because it is the thought-form of the age, that the great majority of readers are likely to overlook the broad synthesis and so miss the philosophy of the Secret Doctrine. We are now in a transition period, and in the approaching twentieth century there will be a revival of genuine philosophy, and the Secret Doctrine will be the basis of the "New Philosophy." Science today in the persons of such advanced students as Keely, Crookes, Lodge, Richardson, and many others, already treads so close to the borders of occult philosophy that it will not be possible to prevent the new age from entering the occult realm. H. P. Blavatsky's Secret Doctrine is a storehouse of scientific facts, but this is not its chief value. 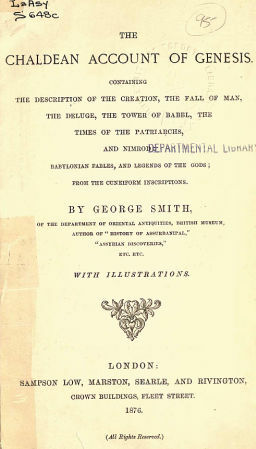 These facts are placed, approximately at least, in- such relation to the synthesis or philosophy of occultism as to render comparatively easy the task of the student who is in search of real knowledge, and to further his progress beyond all preconception, provided he is teachable, in earnest, and intelligent. Nowhere else in English literature is the Law of Evolution given such sweep and swing. It reminds one of the ceaseless undertone of the deep sea, and seems to view our Earth in all its changes "from the birth of time to the crack of doom." It follows man in his triple evolution, physical, mental, and spiritual, throughout the perfect circle of his boundless life. Darwinism had reached its limits and a rebound. Man is indeed evolved from lower forms. But which man? the physical? the psychical? the intellectual? or the spiritual? The Secret Doctrine points where the lines of evolution and involution meet; where matter and spirit clasp hands; and where the rising animal stands face to face with the fallen god; for all natures meet and mingle in man. The time must presently come when the really advanced thinkers of the age will be compelled to lay by their indifference, and their scorn and conceit, and follow the lines of philosophical investigation laid down in the Secret Doctrine. Very few seem yet to have realized how ample are these resources, because it involves a process of thought almost unknown to the present age of empiricism and induction, It is a revelation from archaic ages, indestructible and eternal, yet capable of being obscured and lost; capable of being again and again reborn, or like man himself reincarnated. [*! * Illustration] EAGLE-HEADED MAN. FROM NIMROUD SCULPTURE. An explanation is necessary in introducing my present work. Little time has elapsed since I discovered the most important of these inscriptions, and in the intervening period I have had, amidst other work, to collect the various fragments of the legends, copy, compare, and translate, altering my matter from time to time, as new fragments turned up. Even now I have gone to press with one of the fragments of the last tablet of the Izdubar series omitted. I believe that time will show the Babylonian traditions of Genesis to be invaluable for the light they will throw on the Pentateuch, but at present there are so many blanks in the evidence that positive conclusions on several pints are impossible. I may add in conclusion that my present work is intended as a popular ac~unt, and I have introduced only so much explanation as seems necessary for the proper understanding of the subject. I have added translations of some parts of the legends which I avoided in my last work, desiring here to satisfy the wish to see them as perfect as possible; there still remain however some passages which I have omitted, but these are of small extent and obscure. CHAPTER I -- THE DISCOVERY OF THE GENESIS LEGENDS. CHAPTER II. -- BABYLONIAN AND ASSYRIAN LITERATURE. Babylonian literature. -- Kouyunjik library. -- Fragmentary condition. -- Arrangement of tablets. -- Subjects. -- Dates. -- Babylonian source of literature. -- Literary period. -- Babylonian Chronology. -- Akkad. -- Sumir. -- Urukh, king of Ur. -- Hammurabi. -- -Babylonian astrology. -- War of Gods. -- Iadubar legends. -- Creation and fail. -- Syllabaries and bilingual tablets. -- Assyrian copies. -- Difficulties as to date. -- Mutilated condition. -- Babylonian library. -- Assyrian empire. -- Ciiy of Assur. -- Library at Calah. -- Sargon of Assyria -- Sennacherib. -- Removal of Library to Nineveh. -- Assurbanipal or Sardanapalus. -- His additions to library. -- Description of contents. -- Later Babylonian libraries. CHAPTER III. -- CHALDEAN LEGENDS TRANSMITTED THROUGH BEROSUS AND OTHER ANCIENT AUTHORS. CHAPTER IV. -- BABYLONIAN MYTHOLOGY. Greek accounts. -- Mythology local in origin. -- Antiquity. -- Conquests. -- Colonies. -Three great gods. -- Twelve great gods. -- Angels. -- Spirits. -- Anu. -- Anatu. -- Vul. -- Ishtar. -- Equivalent to Venus. -- Hea. -- Oannes. -- Merodaeh. -- Bel or Jupiter. -- Ziratbanit, Succoth Benoth. -- Elu. -- Sin the moon god. -- Ninir. -- Shamas. -- Nergal. -- Anunit. -- Table of gods. CHAPTER V. -- BABYLONIAN LEGEND OF THE CREATION. Mutilated condition of tablets. -- List of subjects. -- Description of chaos. -- Tiamat. -- Generation of gods. -- Damascius. -- Comparison with Genesis. -- Three great gods. -- Doubtful fragments. -- Fifth tablet. -- Stars. -- Planets. -- Moon . -- Sun. -- Abyss or chaos . -- Creation of moon. -- Creation of animals. -- Man. -- His duties. -- Dragon of sea. -- Fall. -- Curse for disobedience. -- Discussion. -- Sacred tree. -- Dragon or serpent. -- War with Tiamat. -- Weapons. -- Merodach. -- Destruction of Tiamat. -- Mutilation of documents. -- Parallel Biblical account. -- Age of story . CHAPTER VI. -- OTHER BABYLONIAN ACCOUNTS OF THE CREATION. Cuneiform accounts originally traditions. -- Variations. -- Account of Berosus. -- Tablet from Cutha. -- Translation. -- Cornposite animals. -- Eagle-headed men. -- Seven brothers. -- Destruction of men. -- Seven wicked spirits. -- War in heaven. -- Variations of story. -- Poetical account of Creation. CHAPTER VII. -- THE SIN OF THE GOD ZU. CHAPTER VIII. -- THE EXPLOITS OF LUBARA. Lubara. -- God of Pestilence. -- Itak. -- The Plague. -- Seven warrior gods. -- Destruction of people. -- Anu. -- Goddess of Karrak. -- Speech of Elu. -- Sin and destruction of Babylonians. -- Shamas. -- Sin and destruction of Erech. -- Ishtar. -- The great god and Duran. -- Cutha. -- Internal wars. -- ltak goes to Syria. -- Power and glory of Lubara. -- Song of Lubara. -- Blessings on his worship. -- God Ner. -- Prayer to arrest the Plague. CHAPTER IX. -- BABYLONIAN FABLES. Fables. -- Common in the East. -- Description. -- Power of speech in animals. -- Story of the eagle. -- Serpent. Shamas. -- The eagle caught. -- Eats the serpent. -- Anger of birds. -- Etana -- Seven gods. -- Third tablet. -- Speech of eagle. -- Story of the fox-His cunning. -- Judgment of Shamas. -- His show of sorrow -- His punishment. -- Speech of fox. -- Fable of the horse and ox. -- They consort together. -- Speech of the ox. -- His good fortune. -- Contrast with the horse. -- Hunting the ox. -- Speech of the horse. -- Offers to recount story. -- Story of Ishtar. -- Further tablets. CHAPTER X. -- FRAGMENTS OF MISCELLANEOUS TEXTS. Atarpi. -- Sin of the world. -- Mother and daughter quarrel. -- Zamu. -- Punishment of world. -- Hea. -- Calls his sons. -- Orders drought. -- Famine. -- Building. -- Nusku. -- Riddle of wise man. -- Nature and universal presence of air. -- Gods. -Sinuri. -- Divining by fracture of reed. -- Incantation. -- Dream. -- Tower of Babel. -- Obscurity of legend. -- Not noticed by Berossus. -- Fragmentary tablet. -- Destruction of Tower. -- Dispersion. -- Locality of Babylon. -- Birs Nimrud. -- Babil. -- Assyrian representations . CHAPTER XI. -- THE IZDUBAR LEGENDS. CHAPTER XII. -- MEETING OF HEABANI AND IZDUDAR. Dream of lzdubar. -- Heabani. -- His wisdom. -- His solitary life. -- Izdubar's petition. -- Zaidu. -- Harimtu and Samhat. -- Tempt Heabani. -- Might and fame of Izdubar. -- Speech of Heabani. -- His journey to Erech. -- The midannu or tiger. -- Festival at Erech. -- Dream of Izdubar. -- Friendship with Heabani . CHAPTER XIII. -- DESTRUCTION OF THE TYRANT HUMBABA. Elamite dominion. -- Forest region . -- Humbaba. -- Conversation. -- Petition to Shaxnas. -- Journey to forest. -- Dwelling of Humbaba. -- Entrance to forest. -- Meeting with Humbaba. -- Death of Humbaba. -- Izdubar king . CHAPTER XIV. -- THE ADVENTURES OF ISHTAR. Triumph of Izdubar. -- Ishtar's love. -- Her offer of marriage. -- Her promises. -- Isdubar's answer. -- Tammuz. -- Amours of Ishtar. -- His refusal. -- Ishtar's anger. -- Ascends to Heaven. -- The bull. -- Slain by Izdubar. -- Ishtar's curse. -- Izdubar's triumph. -- The feast. -- Ishtar's despair. -- Her descent to Hades. -- Description. -- The seven gates. -- The curses. -- Uddusunamir. -- Sphinx. -- Release of Ishtar. -- Lament for Tammuz. CHAPTER XV. -- ILLNESS AND WANDERINGS OF IZDUBAR. Heabani and the trees. -- Illness of Izdubar. -- Death of Heabani. -- Journey of Izdubar. -- His dream. -- Scorpion men. -- The Desert of Mat. -- The paradise. -- Siduri and Sabitu. -- Urhamsi. -- Water of death. -- Ragmu. -- The conversation. -- Hasisadra. CHAPTER XVI. -- THE STORY OF THE FLOOD AND CONCLUSION. Eleventh tablet. -- The gods. -- Sin of the world. -- Command to build the ark. -- Its contents. -- The building. -- The Flood. -- Destruction of people. -- Fear of the gods. -- End of Deluge. -- Nizir. -- Resting of Ark. -- The birds. -- The descent from the ark. -- The sacrifice. -- Speeches of god. -- Translation of Hasisadra. -- Cure of Izdubar. -- His return. -- Lament over Heabani. -- Resurrection of Heabani. -- Burial of warrior. -- Comparison with Genesis -- Syrian nation. -- Connection of legends. -- Points of contact. -- Duration of deluge. -- Mount of descent. -- Ten generations. -- Early cities. -- Age of Izdubar. Notices of Genesis. -- Correspondence of names. -- Abram. -- Ur of Chaldees. -- Ishmael. -- Sargon. -- His birth. -- Concealed in ark. -- Age of Nimrod. -- Doubtful theories. -- Creation. -- Garden of Eden. -- Oannes. -- Berosus. -- Izdubar legends. -- Urukh of Ur. -- Babylonian seals. -- Egyptian names. -- Assyrian sculptures. Photograph. Izdubar (Nimrod) in conflict with a lion, from an early Babylonian cylinder. Reverse of inscribed terra cotta tablet, containing the account of the Deluge, showing the various fragments of which it is composed. Oannes and other Babylonian mythological figures, from cylinder. Sacred tree or grove, with attendant cherubim, from Assyrian cylinder. Sacred tree, seated figure on each side and serpent in background, from an early Babylonian cylinder. Bel encountering the dragon, from Babylonian cylinder. Merodach or Bel armed for the conflict with the dragon, from Assyrian cylinder. Fight between Bel and the dragon, from Babylonian cylinder. Eagle-headed men, from Nimroud sculpture. Sacred tree, attendant figures and eagle-headed men, from the seal of Syrian chief, ninth century BC. Men engaged in building, from Babylonian cylinder. and 15. Men engaged in building, from Babylonian cylinders. View of Bin Nimrud, the supposed site of the Tower of Babel. Izdubar strangling a lion, from Khorsabad sculpture. Migration of Eastern tribe, from early Babylonian cylinder. Izdubar, composite figures, and Hasisadra (Noah) in the ark, from early Babylonian cylinder. Composite figures (scorpion men), from an Assyrian cylinder. Hasisadra, ot Noah, and Izdubar, from an early Babylonian cylinder. Mugheir, the site of Ur of the Chaldees.